The Williams Martini team would remain at the Circuit de Catalunya for a planned two day test. 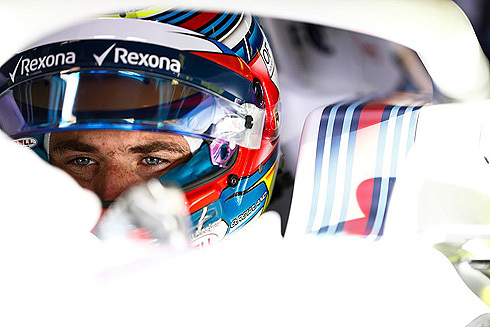 For the Williams team the opening day of driving would be completed by Official Young Driver Oliver Rowland. In what was a positive day of testing for the team Oliver would be able to complete 121 laps as he worked through the teams programme. Tomorrow sees Robert Kubica take over. 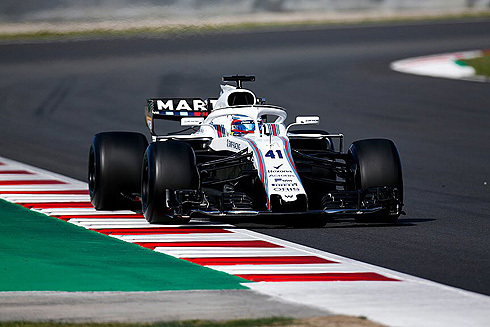 With his car running the number 41 Williams Official Young Driver Oliver Rowland would start the opening day of the test at the Barcelona Test. Oliver would complete the morning session run for the team setting a bets time of 1m:20.939 having completed sixty one laps running on the medium tyre. Quickest time had been set using the hypersoft tyre with a 1m:18.449. After the lunch break Oliver would continue through what was an extensive programme as the team continues to improve the FW41. Later in the day the team would allow Oliver the opportunity to run on the hypersoft tyres and it was on this tyre that he would set his quickest time of the day a 1m:20.009. He would complete 121 laps over the course of the day. Dave Robson, Performance Projects – Principal Engineer: It’s been a really good day of testing. Oliver’s got through in excess of 120 laps which, given this was achieved within a large number of very short runs, is a phenomenal number. The car has worked really well and we got through an awful lot of test items and we have a lot of data to go through tonight. For his first day testing with us, Oliver has done an absolutely superb job. Oliver Rowland, Official Young Driver: Today was really good. We completed a lot of laps and worked through our programme. It was nice to get my first proper run in an F1 car. In general, the team has learnt quite a bit so we are happy. I actually felt quite comfortable in the car and we got the times down pretty quickly. I didn’t drive as fast as I could as I couldn’t risk crashing, so I didn’t push it too much. This morning we went through quite a lot of stuff on new and old tyres so it was interesting to get a feel for everything. I would like to thank Williams for this opportunity which I’ve thoroughly enjoyed, I hope my feedback helps the team move forwards. 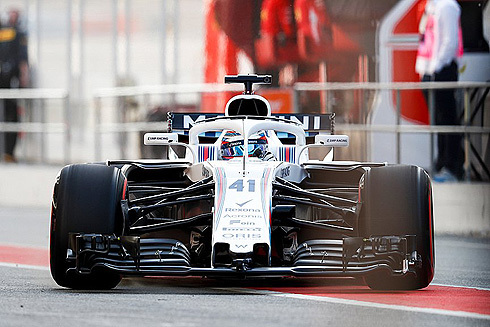 The FW41 returns to the track tomorrow with Robert Kubica driving.